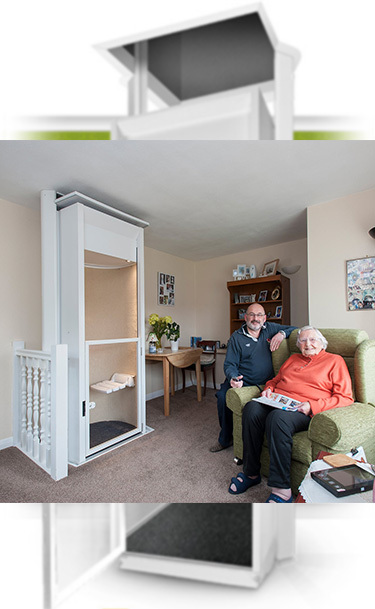 The Stiltz Trio Wheelchair Lift is a smart, economical and sustainable home mobility solution which can fit a standard sized or manual wheelchair and is ideal for users with a walker or rollator. 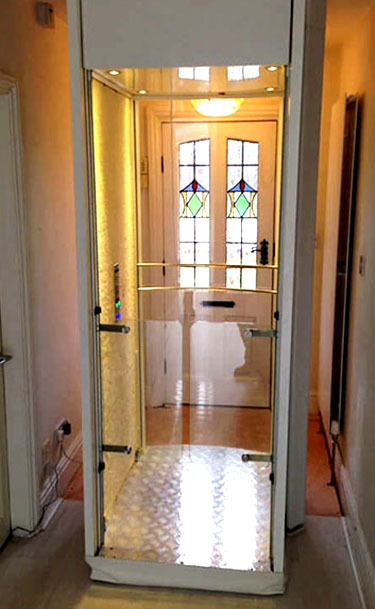 Our wheelchair elevator is an attractive alternative to a stair lift and allows you to live independently at home. The Stiltz range of wheelchair lifts offer a spacious and smooth travel experience and, most importantly, makes your home fully accessible – with no section of your home off limits. 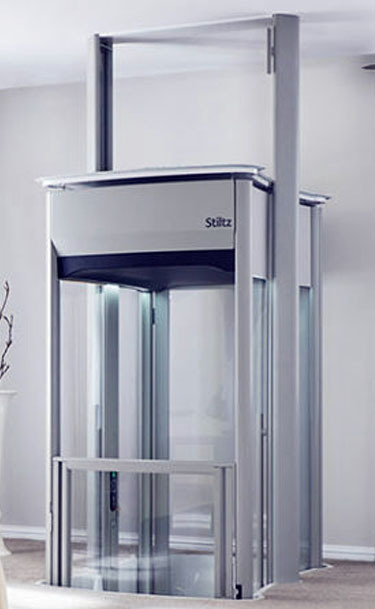 At Stiltz, we have been designing and manufacturing wheelchair elevators for over a decade and this experience shines through in the engineering and craftsmanship of each new product. 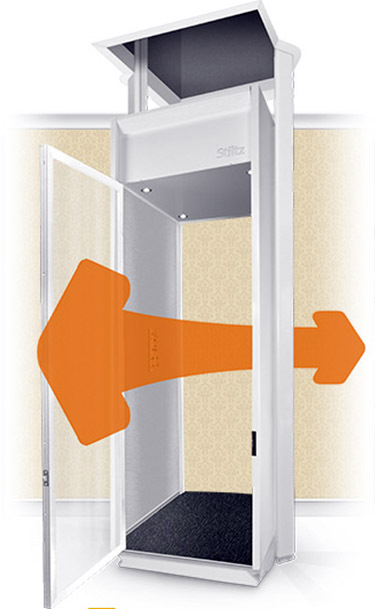 The Stiltz Trio Wheelchair Lift is a game changer in the industry, as it combines cutting-edge technology without compromising on style. 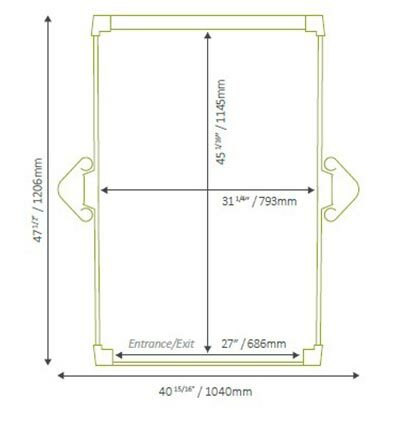 No detail is overlooked and every wheelchair lift includes convenient hold-to-run controls, a full height light curtain with fitted half height door and the option of a thru-car design allowing entry and exit from both sides – avoiding awkward maneuvers. 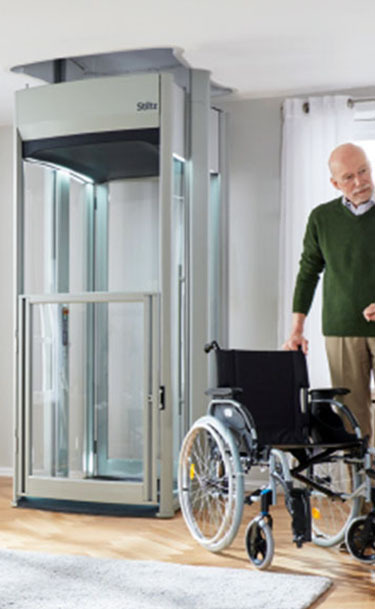 It takes a maximum of just two days for one of our Authorized Dealers to install your wheelchair elevator before you can start to enjoy a whole new freedom and independence. 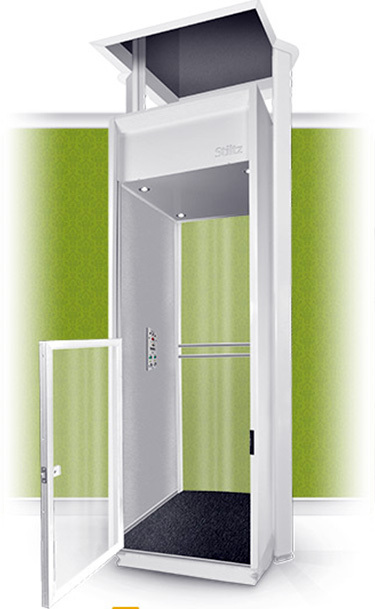 The elevator is also useful for carry heavy objects or awkward items and can also carry three standing people. 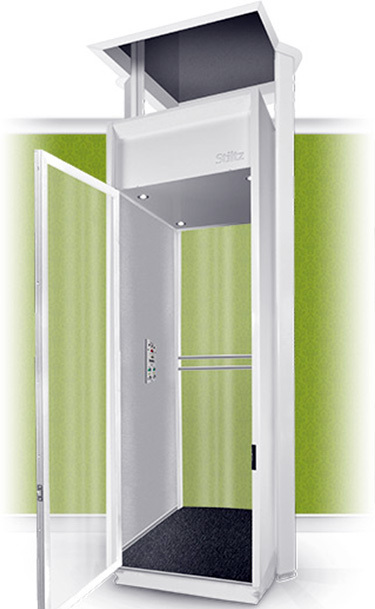 Once fitted, the Stiltz Trio Home Elevator simply plugs straight into a domestic power socket and is fully operational with no supporting walls needed. 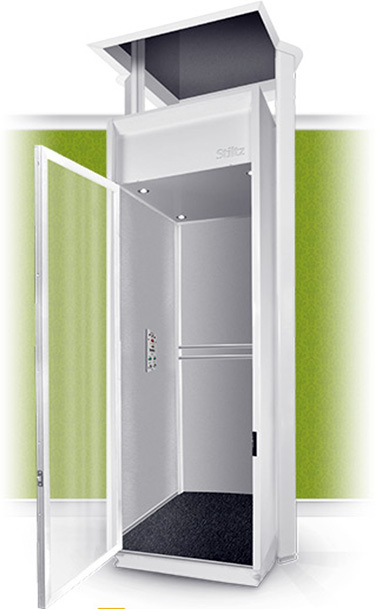 Spacious enough for a standard sized wheelchair, yet surprisingly compact with a footprint covering less than 13.5 sq ft, a Stiltz elevator preserves precious floor space, while giving you access to all areas, at all times. HOW MUCH WILL MY HOME ELEVATOR COST? NEW! 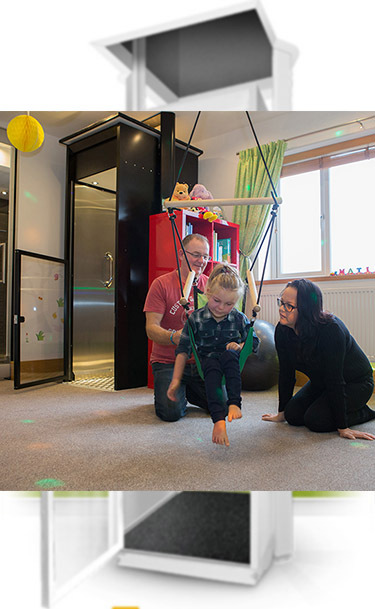 Stiltz Trio Alta is the new, spacious and luxurious wheelchair-accessible home elevator designed to carry a full-sized wheelchair or three people. 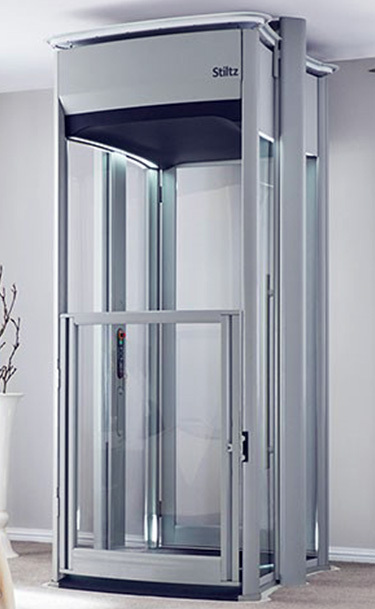 The combination of style and luxury has been perfectly balanced and the elevator has clear sides which enables it to blend seamlessly into the home and to make it even less intrusive the rails are cleverly and discreetly recessed behind the slightly wider entrance/exit. 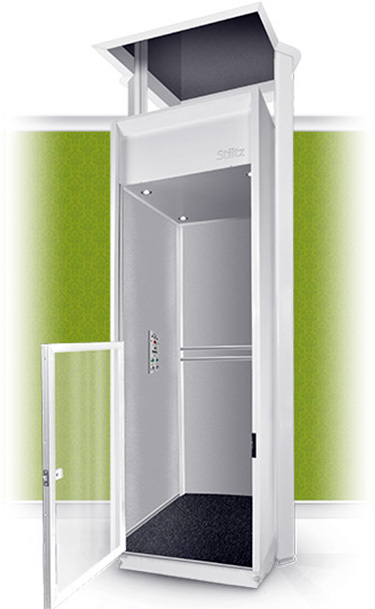 Stiltz Trio Classic – the Stiltz Trio Wheelchair Lift is a larger and heavier weight load version of the Stiltz Duo Home Elevator. Although compact it is still big enough to accommodate a standard-sized wheelchair. 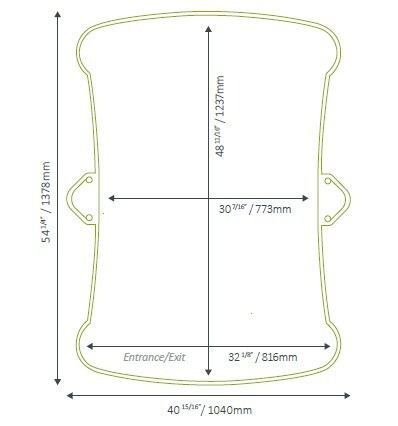 It is also an ideal wheelchair elevator for anyone using a walker or rollator. Stiltz Trio Vista – has solid side walls and is fitted with a clear back made from structural poly-carbonate at the back to give it a contemporary look. The Stiltz Trio Vista Wheelchair Lift allows natural light to flood in if the wheelchair lift is placed in front of or close to a window. It offers all the same features as the Classic. 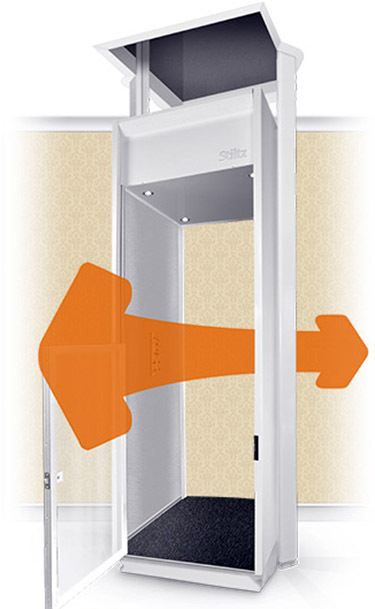 Stiltz Trio Thru Car – allows users to enter and exit from both sides of the elevator. This is made possible by the unique Stiltz dual rail technology. There is no other wheelchair home elevator of this kind on the market that is capable of different entry and exit points on different floors. It offers all the same features as the Classic.